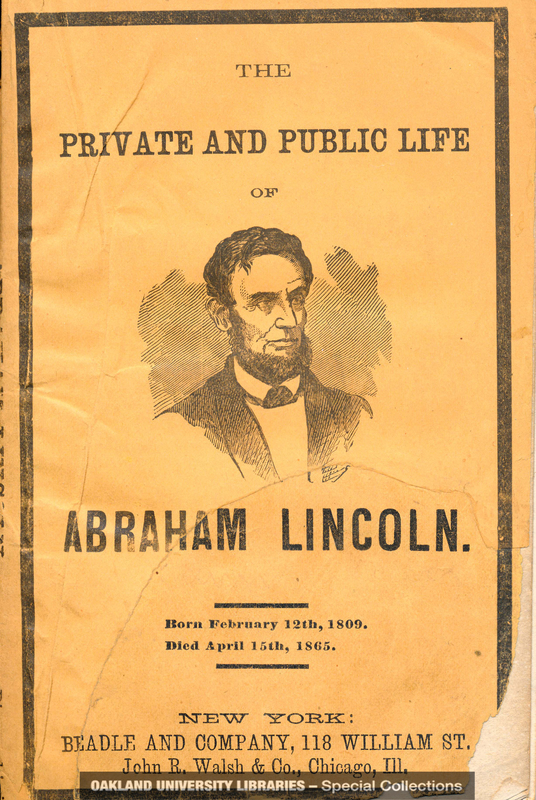 Cover of a reprint of a 1864 biography of Lincoln. Framed in mourning borders. After the death of Lincoln, publishers rushed to put out biographies of the dead President.